As an Israeli Defense Forces operation into the Gaza Strip entered its second day on July 18, the head of Caritas Jerusalem said he would launch an international appeal for assistance in Gaza and would not wait until the end of the Israel-Hamas hostilities, as he has done in the past. The Rev. Raed Abusahlia, general director of Caritas Jerusalem, said that more than 80,000 Palestinians had been displaced and 1,250 homes had been completely demolished by Israeli airstrikes and the invasion of Gaza in July. He said 80 percent of the Gaza Strip was without electricity and 90 percent of people did not have drinkable water. Pope Francis telephoned President Shimon Peres of Israel and Mahmoud Abbas, the Palestinian president, on July 18, urging all sides to end hostilities. The pope told the leaders that the conflict was creating “numerous victims and was giving way to a state of serious humanitarian emergency,” the Vatican said in a written communique released on July 18. Despite calls by Hamas not to leave their homes, thousands of people in targeted quarters heeded Israeli warnings to evacuate and were being sheltered in U.N. school buildings. 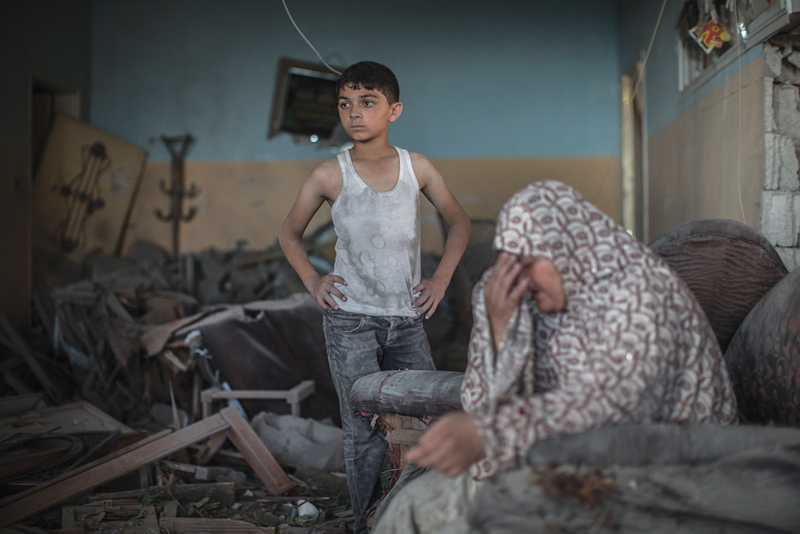 Some Palestinians remained in their homes, fearing theft in difficult economic times. In Jerusalem, Matthew McGarry, country representative for Catholic Relief Services, said he was in regular contact with staff in Gaza. They told him that although militants had been launching missiles toward Israel from civilian areas, many people had also been killed by Israeli airstrikes in areas where there were no launch sites. This article also appeared in print, under the headline "Caritas Issues Appeal for Assistance As Gaza Conflict Intensifies," in the August 4-11, 2014 issue.